Click on the title to read the relevant Update paper. Farming systems performance - A major new farming systems project on the constraints to performance and efficiency. Managing the yield gap to achieve your yield potential. Returning nematode infested paddocks to profit - management strategies for the western Downs. Managing high level phosphine resistance in on-farm storage. Farming system strategies to manage fleabane and feathertop Rhodes grass - what’s working? Fixing more nitrogen in pulse crops. 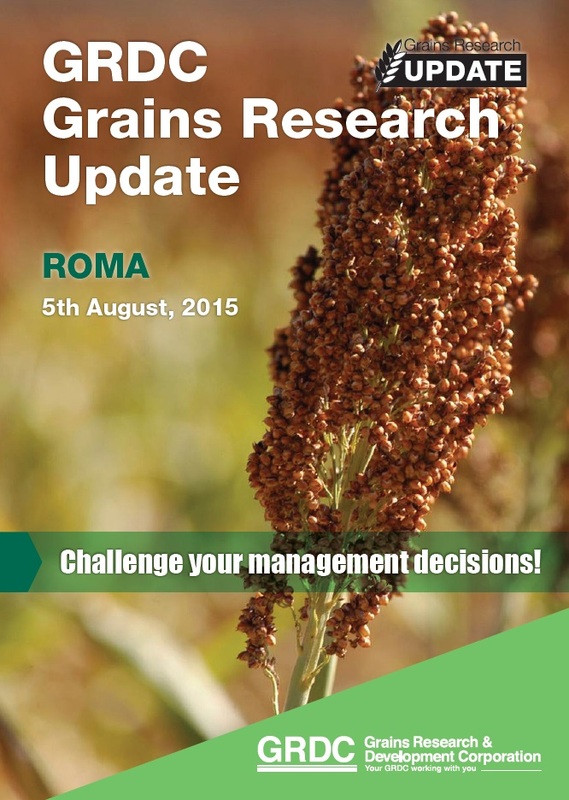 Sorghum agronomy to manage risk and improve yield in the western zone.